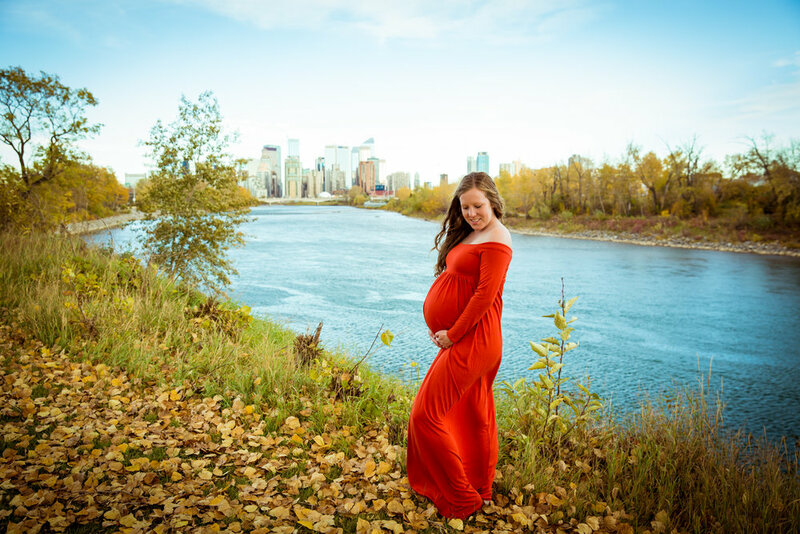 How does the Maternity Photoshoot work? After your portrait session is scheduled (session fee is paid + contract signed) we will schedule an in-person or over the phone consultation. This is the time to fill me in on everything you want from your session. I will guide you every step of the way to make this an easy process with a fantastic end result! I will help you with what to wear, selecting a location, and will discuss how you want to display your finished portraits as artwork in your home. I am an on location photographer, which means that on the day of the session we will meet at your residence (for an indoor session) or outside at the agreed location (weather permitting). My portable studio system and experience will ensure we capture the most beautiful images in the comfort of your own home, with the least amount of disruption to your household. I want things to be relaxed, enjoyable, flexible, and as comfortable as possible for you and your family. 7 to 14 days after your portrait session I will come back to present you with the best hand selected images from your session. We will finish your portraits by designing custom artwork pieces for your home for you to enjoy for years to come. Once the order is placed, it will take 3-6 weeks for the products to arrive and for me to personally deliver your beautiful, custom, heirloom portraits. 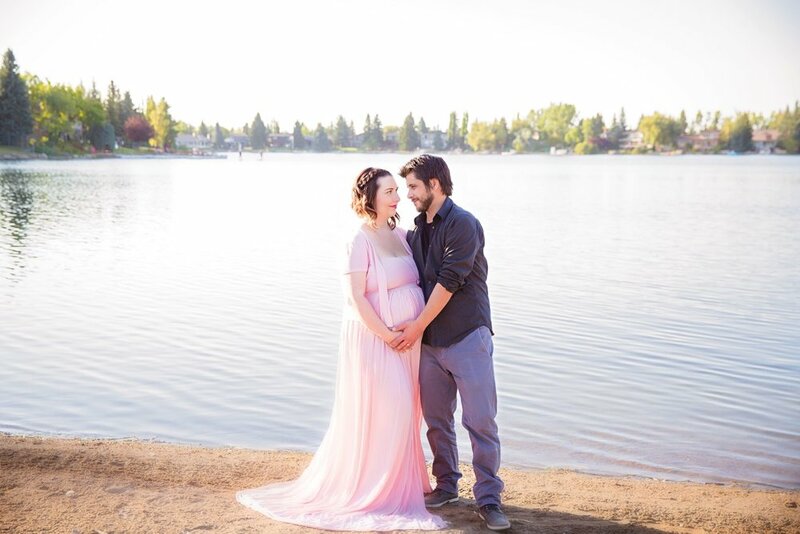 When should I schedule my maternity photo session? A maternity photoshoot should be scheduled anytime between 32-36 weeks of pregnancy. I offer a wide variety of beautiful maternity gowns to choose from. You are welcome to use any of the gowns or your own clothes or a combination of both. We can have up to 3 outfit changes during the session. We can discuss clothing in more detail during our consultation session, but generally I always recommend to wear neutral colors, without patterns or logos and coordinate colours with other people that will be present during the photoshoot. Where will the maternity photoshoot take place? This is up to you. Weather permitting – pictures outside are always beautiful. We can go to a local park and find a perfect spot, or I can recommend a location. If you do not want to be outside due to weather conditions or any other reasons, we can take pictures inside your home. I will bring my portable studio and we will create beautiful images for you and your baby to cherish forever. I also offer "milk bath" maternity pictures, please let me know in advance if this is something you are interested in. 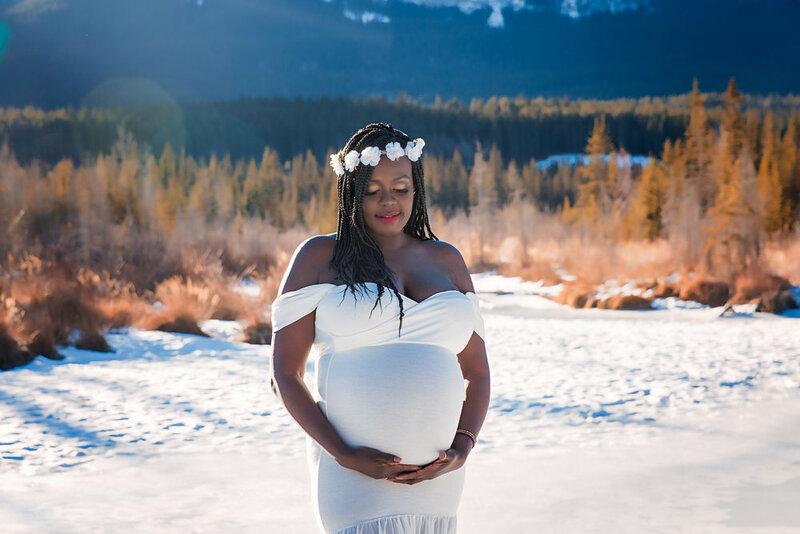 Do you offer a Mountain Maternity Session? Yes! We are lucky to live in such a beautiful province, so close to the mountains! I do offer mountain maternity sessions for an additional $100 to cover gas and extra time. Please let me know in advance if this is something you are interested in. How long will the maternity photoshoot take? Maternity session may take up to 2 hours. Can my partner and children join the photoshoot? Yes, immediate family is welcome to join. Please let me know in advance how many adults / children will be joining the photoshoot.